Young hero Nikhil, who made a comeback with ‘Swamy Ra Ra’, gave few clarifications about the sequel. Recently, news came in that a sequel to Swamy Ra Ra is on the cards, and the shoot is set to start soon. Clearing all rumours, Nikhil took to twitter and expressed his views “Swamy Ra Ra sequel is still in the discussion stage guys… i am part of the production house and i can tell u it might or might not happen..Ideas are being discussed and if it is made, we want swamy rara 2 script to be as good or better than the 1st 🙂 let’s see, fingers crossed”, the actor posted. Swamy Ra Ra had Nikhil and Swathi in the lead roles. 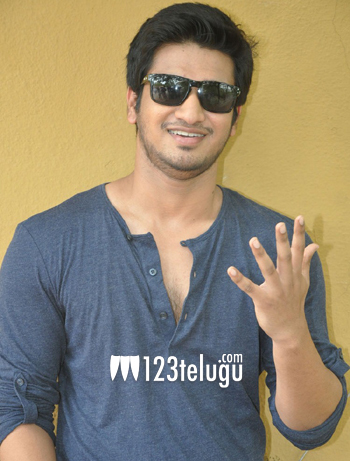 Nikhil is currently busy in the post production formalities of his latest flick Karthikeya.